WILLEMSTAD - The Santa Barbara Beach & Golf Resort will be the scene for the Kingdom Conference on June 16 of this year. The representatives of each government will discuss issues as cooperation based on trust, reciprocity and mutual respect. 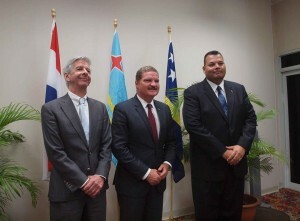 Delegates from Aruba, Curaçao, Sint Maarten and the Netherlands will meet to discuss children’s rights.